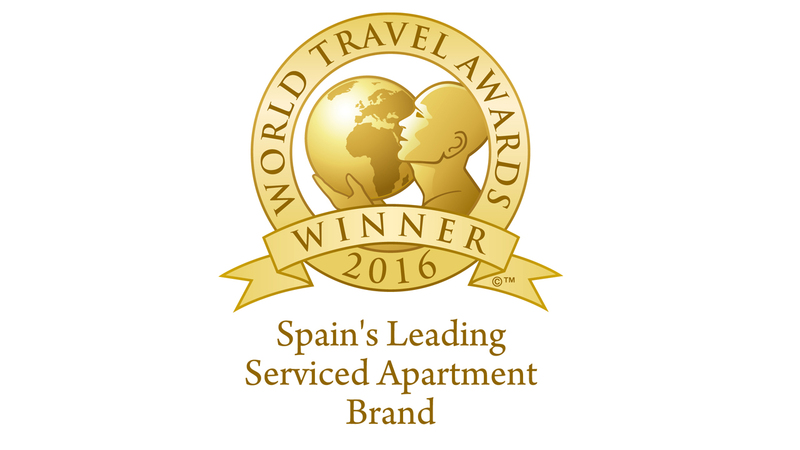 Habitat Apartments for the third year in a row received the prestigious commendation for "Spain's Leading Serviced Apartment Brand 2016". World Travel Awards celebrates its 23rd anniversary this year and is recognized across the globe as the ultimate travel accolade. Event is attended by senior executives from major travel companies, operators, and destinations. World Travel Awards events are universally respected as providing established, top level networking opportunities both- regionally and globally. This year World Travel Awards and World Spa Awards was joined together for the Europe Gala Ceremony 2016 and took place at Forte Village Resort on the southern tip of Sardinia, Italy on September 4. At this day the world-class resort welcomed hundreds of hospitality leaders from across the region and around the world. Nowadays the World Travel Awards brand is recognized globally as the ultimate hallmark of quality, with winners setting the benchmark to which all others aspire. Each year World Travel Awards grasps the globe with a series of regional gala ceremonies made to recognize and celebrate individual and collective successes within each key geographical region. You can get more information and insights in the official World Travel awards website. Thank you to all of you! Without you, our guests, we would have never made this far! Now, take a look of our great Apartments in Barcelona and find your favourite!